But good news is I tried out Tian Yuan Xiang Chicken Essence and can't wait to share with you guys! So normally when we buy Chicken Essence, we will get the normal bottle types, that is a bit bitter and "not smell that fresh". Tian Yuan Xiang Chicken Essence is popular in Taiwan and Hong Kong for its fascinating taste and rich flavour because it tastes just like a bowl of herbal chicken soup! Originated from Southern Taiwan, the chicken essence is braised and stewed under elevated temperature and use the 100 % natural extraction. Every drop can be the best refreshment to our body and make us energetic every single day! 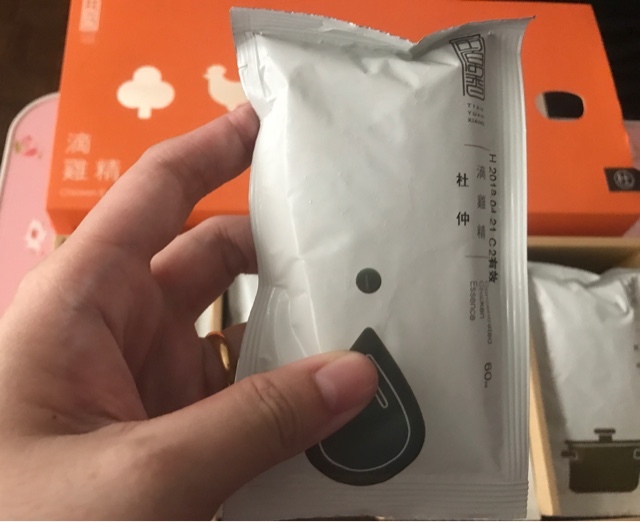 Healthy choice: The nutrients are easier to absorb and the oil removal process makes Tian Yuan Xiang chicken essence even healthier. Safe to consume:Self raised chicken in their own farm naturally, its safe from chemicals and hormone. Low calories, low sodium and low cholesterol: Nourish body without gaining weight. 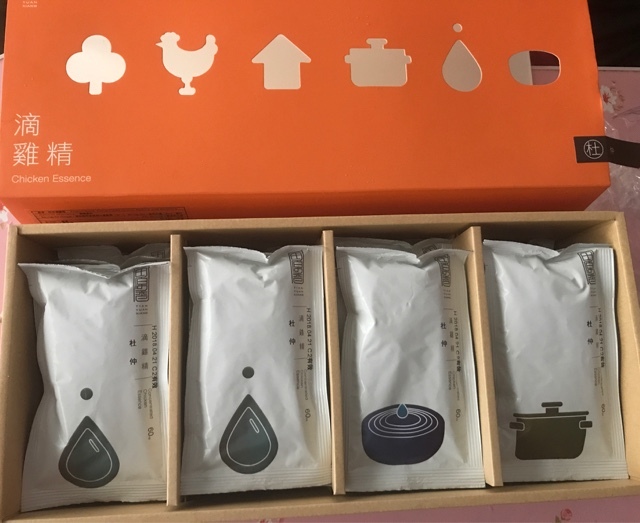 I tried out their Chicken Essence with Eucommia.Tian Yuan Xiang had used 3.5 whole natural chickens for each box, packing chicken essence into 60c.c. x 20 packets (About 2/5 height of a bowl). 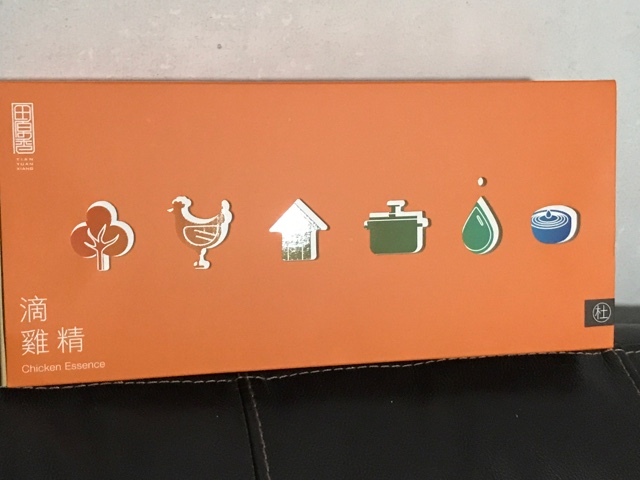 Their Chicken Essence contains no preservatives, so it must be stored in the "freezer" to keep it fresh. If you chill it in the fridge normal compartment, please finish it within 1-2 days. Now totally no excuse, you get to heat your tonics on the go! 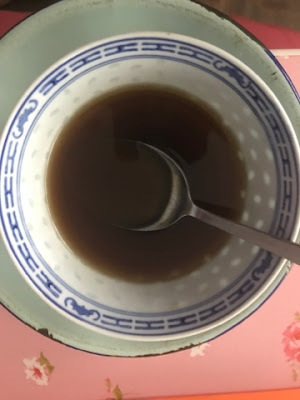 Chicken Essence with Eucommia, containing Chinese Herbs such as Eucommia Bark (杜仲),Sang parasitic (桑寄生), donkey-hide gelatin (阿胶) to help replenish kidney to produce blood. Ophiopogonis Radix (麥門冬)for clearing the body heat and Sour Jujube Seed (酸棗仁) for its effect of giving you a good night sleep. This is suitable for long time overwork, over-brain, and night sleepers office workers because of its herbs not only to support the kidney health, better focus and Eucommia (杜仲) can replenish kidney and strengthen the bones, and relieve back pain from long hours seating. 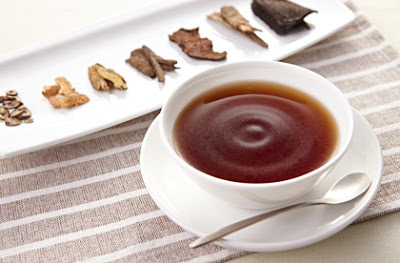 Other Chinese herbs can also help to lower the anger, stabilize the nervous system and give the office workers' a better sleep. For pregnant woman and new mother, Eucommia chicken essence added in lots of suitable replenishment herbs, such as Eucommia (杜仲), Dodder Seed (菟丝子), Himalayan Teasel Root (续断), to help relieve postpartum or pregnancy often backache, postpartum backache, hair loss, dizziness and other discomfort. Always drink it the best in empty stomach (best before 4pm) so it will give you best energy throughout the day! Drinking 1- 2packets per day is strong recommended for people who are low in energy. For women in confinement, 2-4 packs is recommended. Teenagers, adults, pregnant women, postpartum care, breastfeeding woman, aged parents, people who always stay up late, overworking, or work under high pressure, night workers. But always consult your family doctor for further instruction if you have any medical conditions. Interested? You can now order directly from Tian Yuan Xiang official website and get it delivered to you! 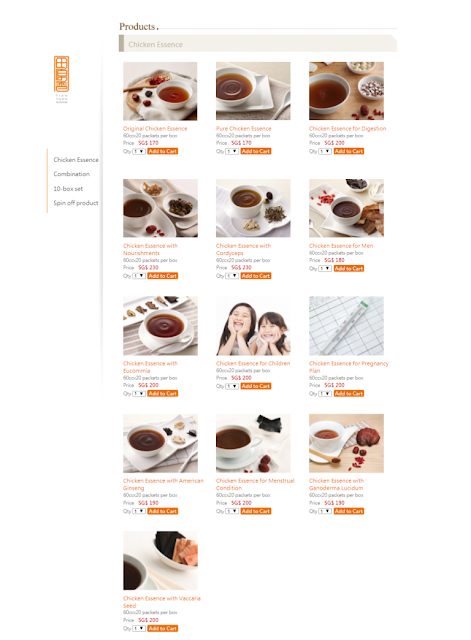 There are many flavours with different Chinese herbs for your selection! 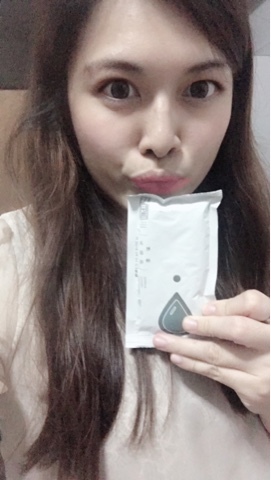 I really love the product, because it tastes good, it worked and easy to consumed :) Wait for no more, this will be the sweetest gifts for our parents and love ones. Year end 11.11 is coming! Are you ready?